Thomas Parnham is one of the names on the Bottesford ‘church list’ of WW1 Servicemen. Thomas Parnham He was born in the Newark district in 1891,. He was the second son of Charles and Lavinia Parnham who in 1901 lived in Normanton. They had four children, Edith 1889, Thomas 1892, Charles 1894 and May 1898. In the 1911 census, Thomas was recorded as 19 year old ‘yardman’ from Alverton, Nottinghamshire, living in at his employer Sam Barnes’ farm, Willow Farm at Normanton. 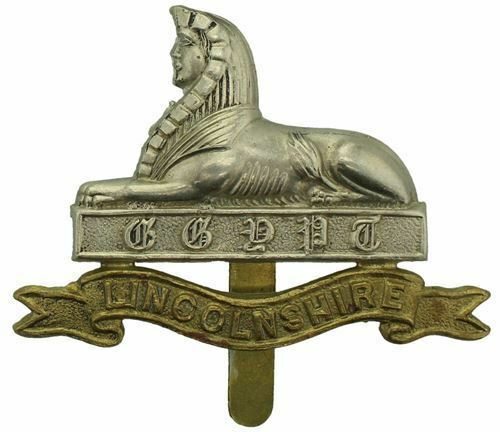 Thomas Parnham attested very soon after the declaration of war, on the 1st September, 1914, at Grantham and three days later joined as a Private, 12221, in the 4th Battalion, Lincolnshire Regiment. He was posted to the Mediterranean area from July 1915 to February 1916. He was admitted to hospital 14th January, 1916, at Kephalos, and sailed from Alexandria on board the “Neuralia” for England on the 6th February. He entered Tooting Military Hospital suffering with bronchitis, remaining there from the 18th February to the 14th May, 1916. After a prolonged home convalescence period, he was posted to France from June 1917. On the 21st March, 1918, while serving in the 2/5th Lincolnshires, he was taken prisoner at Bullecourt and interned at Dron-le-Val, arriving back home on the 2nd December, 1918. He was demobilised in March 1919, and awarded the Victory and British War medals in 1921. He also received the 1914-15 Star. The 4th Battalion was, correctly the 1/4th Battalion, a Territorials Battalion that landed in France in March 1915 as part of the 46th Division, and took part in battle including Hooge and the Hohenzollern Redoubt. At the start of 1916 it was moved to Alexandria, but then rapidly brought back to France, where it remained fighting on the Western Front. In May 1918 it was reduced to cadre strength following heavy casualties in the Battles of the Somme and Lys, and was then transferred between divisions a number of times before being finally disbanded on the 8th November 1918. Thomas Parnham came through all this. In December, 1918, Thomas Parnham married Zillah Mary Jane Young, from Hougham, Lincolnshire. He was on the 1919 Register of Bottesford Voters, living in Normanton. The 1939 register tells us that Thomas Parnham, born 17th November 1891, and Mary Jane (Zillah), born 6th May 1893, lived at Glebe Cottages, Hougham, West Kesteven with the children including Peter and Eileen. Thomas Parnham died in 1972 in the Grantham district, aged 80. Zillah died in 1984, aged 91.